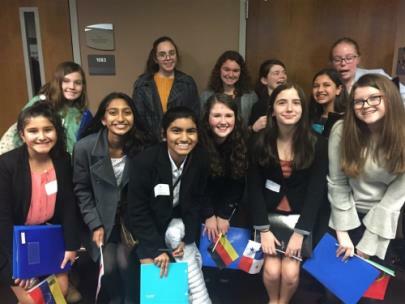 Thirteen GPS Middle School students prepared for and competed in the YMCA’s Middle School Model United Nations conference in Chattanooga. For many middle school students such as Anisha Phade ’23, the MSMUN conference introduces them to a global perspective and a problem-solving approach. “I got to learn so much about the problems in different countries, and now I have become more interested in learning about these issues,” said Anisha. The conference was also an opportunity for students to experience the research and debate process as well as practice public-speaking skills. 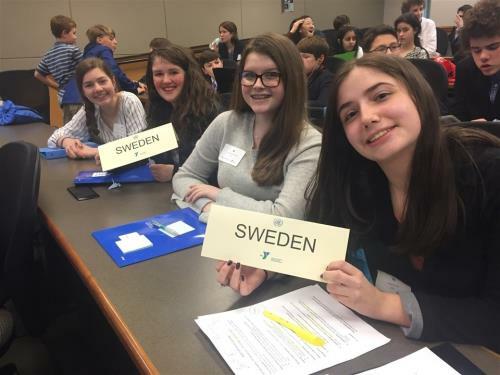 “The Model UN conference boosted my courage in talking in front of strangers and taught me interesting lessons about the real world and it’s problems,” said Emerson Couch ‘24.